Though it may not have gone down in history as one of the greatest films (but then again, what of any of these entries has? 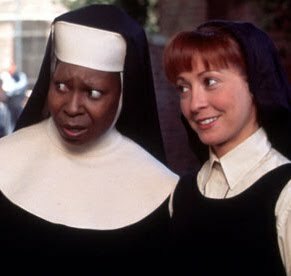 ), but I find it hard to believe that really anyone who’s seen Sister Act couldn’t find something totally redeemable about the movie. It’s a goofy musical comedy to be sure, but never before has there been such a great showcase for star Whoopi Goldberg (except for maybe The Color Purple) and for senior actresses (particularly Mary Wickes) this side of the The Golden Girls. And a killer Motown-infused soundtrack sure doesn’t hurt. From the first performance of “Hail Holy Queen” to the gracious stripped down (well sort of) version of “I Will Follow Him,” Deloris and the girls are clearly a reincarnation of The Ronettes in habits. 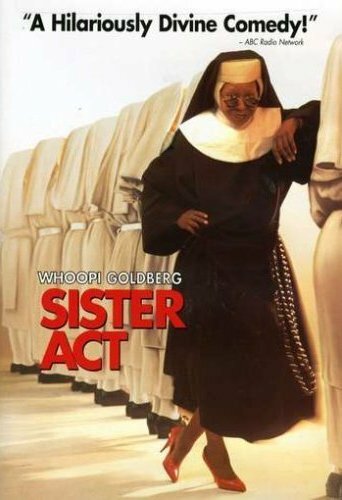 But Sister Act is more than just the impeccable facial comedic stylings of Goldberg and the rambunctious soundtrack; it’s the moments of clarity brought on by the fish-out-of-water lounge singer at its core that provide the true memorable nostalgia moments. 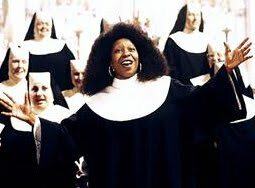 For example, who could possibly deride the tutelage between Sister Mary Clarence and Sister Mary Robert – from the weak first steps as a confidence-lacking young nun to the lead belter in the ensemble, that first lick in “Hail Holy Queen” is enough to make your hair stand up on end. And then there’s Whoopi’s defrosting of ice queen mother superior, played with typical dignity by Maggie Smith. Their relationship is the truest one in the movie; Smith’s character is the epitome of old-school thought, and yet she bestows the truest form of new-school all-encompassing acceptance of the bunch by film’s end. No perhaps I’m going overboard with my holier-than-thou praise of this lighthearted comedy, but I find it difficult to find a more representative musical comedy from the 1990s that was so universally adored. Whatever you may think of Whoopi Goldberg as an actress, she has to be one of the most enjoyable and likable performers of her generation. Deloris van Cartier is a perfect fit for her, and every viewer can tell she knows it. Memorable Moment: I’ve already given this one away, but how wonderful is that first performance. Just watch Maggie’s mortified face and Sister Mary Robert’s nerves melt away. Pure genius. Such a fun and lovable movie! It's too bad Goldberg never really built on the success of that movie.Love the 90's!! I second Castor, though I'm not sure it's Whoopi not building on the success or Hollywood not being able to cast her, but she's so good here (and elsewhere) and now she's virtually absence. Great writeup on a very enjoyable movie. I love this movie! It's just so fun and Whoopi really is great. This movie really got me dancing, and made me realize that Whoopi Goldberg isn't so bad of an actress.